How I got rid of my acne scars is probably the question that I’m asked the most. I had really bad acne a couple of years ago and because it was so severe, it left my cheeks scarred. 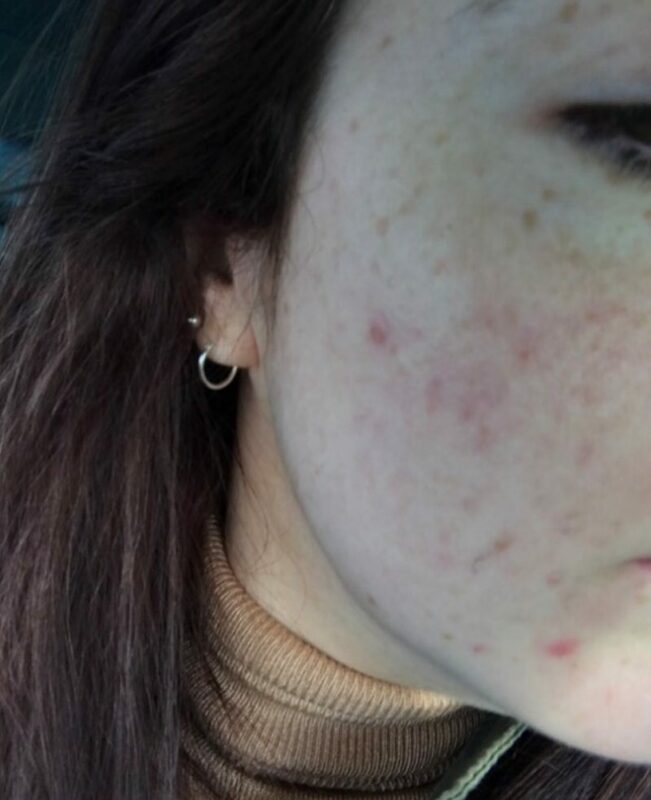 It’s hard enough trying to get rid of acne but being left with scars, which are naturally difficult to get rid of or even diminish, is just heart breaking! 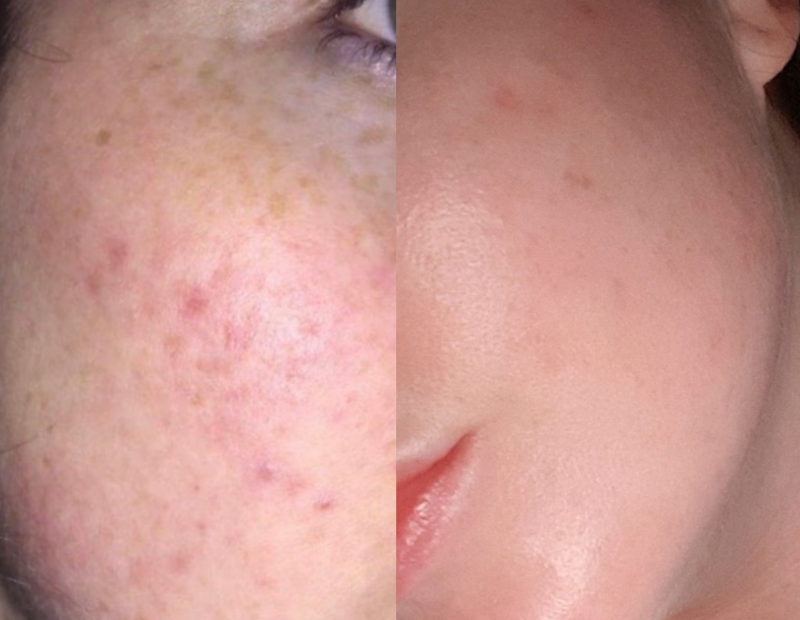 If you want to know how I got rid of my acne, you can read all about it here. This blog post is entirely focused on how I got rid of the scars that were left behind. My scarring was a few layers deep so no amount of at-home products were going to get rid of them single handedly; although they definitely helped. A combination of my favourite skincare products, chemical peels and microdermabrasion, is how I got rid of my acne scars; all of which I’ll cover in this blog post. Before my wedding, I had 2 Image Skincare peels at Therapie Clinic. I noticed a massive difference after the first one but one wasn’t enough. After my second one, my scarring had diminished significantly but it still wasn’t gone completely. Without getting all scientific on you, a chemical peel is essentially, a deep exfoliation. There are different strengths of peels but they all remove dead layers of skin. So if you’re scarring is a couple of layers deep, you will need to peel back those layers to get to it! You’ll need to start with the weakest peel and build up the strength of them gradually. How strong you’ll need to go will depend on how deep your scarring is. 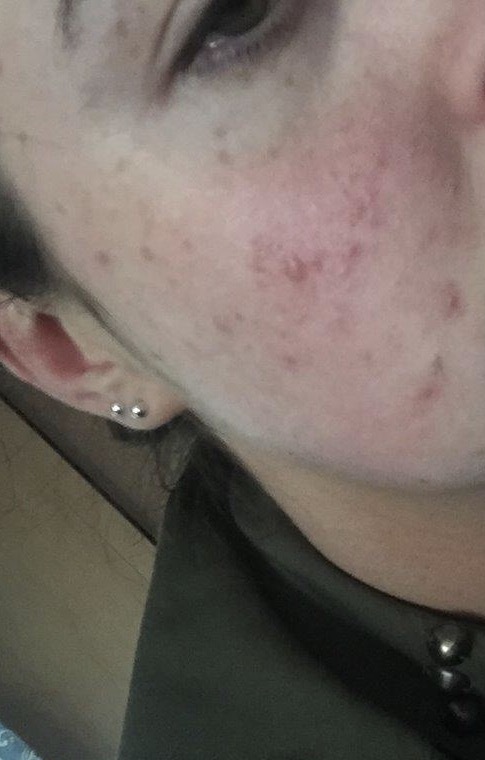 Last year, I had a bit of a break out over a few weeks and again, it scarred my cheeks! Seriously, after all the time and effort I put into getting rid of them, one bad break out and I was scarred again. But, new scars are a lot easier to get rid of then old scars so try to treat them as soon your breakout is gone. The picture above is after my break out had cleared up. These marks were only about a week old and I was booked in with Eden Beauty Group for a customised facial. I had a total of 2 facials with Susan at Eden Skincare and they included AFAs peels and microdermabrasion. You can read about them in detail here. Microdermabrasion is best understood by watching the video below but essentially tiny exfoliating crystals are used to remove any dead skin cells. It is effective on fine lines, wrinkles, scarring and in improving the tone and texture of your skin overall. 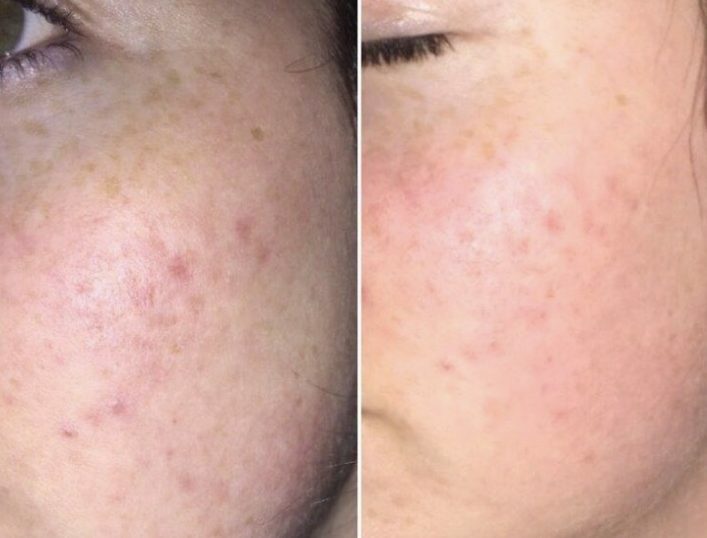 My skin was very red the day after but once that died down, my skin was bright, plump and there was a significant reduction in my acne scarring after the second treatment. There is still some scarring on my cheeks, but very very slight! 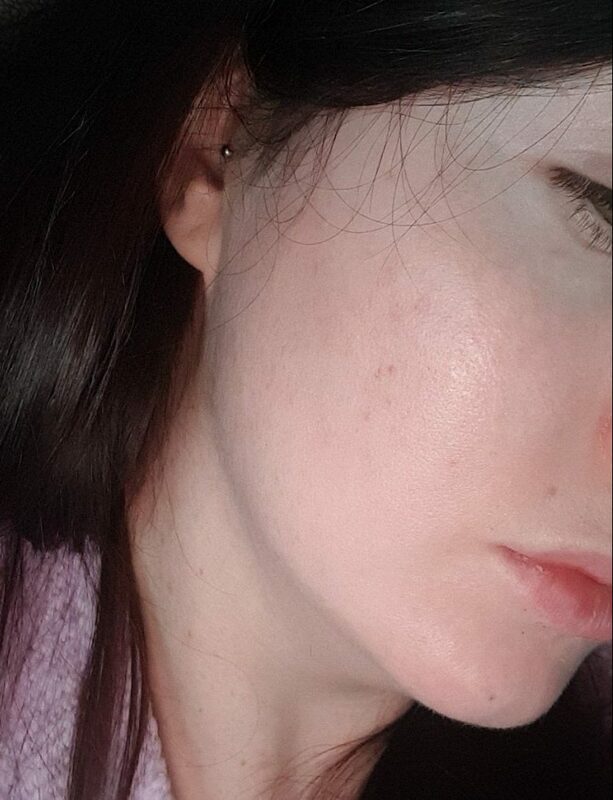 I’m going for my first Micro-needling session tomorrow with Susan and I reckon my scars with be completely gone after that (as well as the “fine lines” I’ve been noticing :p). I’ll be keeping you updated on my Instagram stories so be sure to be following me there (just search Live Lavishly). I for one am really intrigued by Micro-needling and can’t wait to try it. These treatments will be just as effective against pigmentation and poor textured skin. You can see the pigmentation around my eyes in the before picture above in comparison to the picture below. Brand Ambassador: I’m currently the Brand Ambassador for Eden Beauty Group and you can read exactly what that means here. Although I had the above treatments last year before that was even a thought! Anyway, hopefully the pictures speak for themselves. You can book online here. The following 2 products will be forever part of my skincare routine in one way or another. They’re not just effective on reducing scarring, they’re multipurpose, and that’s why they both made my Best of Beauty 2017 list. MY ALL TIME FAVOURITE SKINCARE PRODUCT. This product is clinically proven to brighten and tighten skin as well reduce fine lines and wrinkles. It’s rich in vitamins, minerals and fatty acids which help to nourish and renew skin. Victoria Beckham is a big fan and so am I! If you’ve oily/acne prone skin, I would recommend the Light Blend version although the original version is the one I used for years. I’m currently going between the 2 types. I use the lighter version under my makeup as a primer, and I use the original version over night. Debenhams are doing a deal at the minute where you can get the anti-oxidant oil, serum and a small cream cleanser for only €31.50. The oil on it’s own is usually about €35! Trilogy Rosehip Oil is my favourite but this ExZit Gel is a close second. I actually don’t even know what you would refer to it as! Potentially an exfoliator, a gel, a moisturiser, a spot killer… or all off those things! It comes in a small bottle but lasts forever (not actually!) because you only need a tiny bit. That’s because it’s a watery consistency so spreads really easily. I use it over night and when I wake up the difference in my skin is ridiculous! It’s plump and full of moisture. My skin was more pink toned before I started to use this. It has really evened out and I definitely think has helped with the scarring. You can buy it here and use code “LIVLAV15” for 15% off. The AFAs Cleanser is another firm favourite of mine. There’s no point in starting on any of the above until you have found the root cause of your acne. Once you have gotten rid of it completely, then look to get rid of the scars. Otherwise, you’ll be going around in a very expensive circle. Purple or red scars on your cheeks aren’t as bad as active acne, but it can be just as draining mentally so I hope you found the above helpful. very nice post about get rid of acne ..